 How your church can easily accept registrations for activities and events. Hosting an event, such as a Vacation Bible School, and not sure how to go about registration and attendee management? No worries, we're here to help! Having a central location to manage event registrations is important, as it minimizes errors, opens the line of communication with your registrants, and allows you to use gathered information most effectively. With the customization options of Breeze forms you can gather any and all information you want, link responses back to a profile in Breeze, and even accept registration payments, all in one place! Whether the registration process for your event is simple and only requires basic contact information, or is more complex and needs to accept payments, Breeze forms are tailored to you -- giving you full control over the information requested. Click here for tips and tricks on creating forms in Breeze. After creating the perfect registration form, there’s no need to have to start all over from scratch with the next event; you can simply find the form you'd like to replicate and then click the copy icon on the right-hand side. Breeze forms allow for both multiple payment options and multiple payment fields, all in one registration form! This allows for a plethora of options during customization, such as allowing registrants to choose different event packages or multiple ticket types! It’s important to differentiate between the funds you raise for registrations, and what comes in with your weekly giving! To help with this, you can choose exactly which fund you'd like form payments to go to by clicking "Go to Settings" in the bottom left of the Update Form page. By clicking "Go to Settings" in the bottom left of the Update Form page, and then clicking "Show More Options," you can access the additional, allowing you to: customize the confirmation email sent out to registrants; specify who (if anyone), is notified when a form entry is submitted; set max entries on the form (where it auto-disables after a set number of entries has been reached); customize the look of your form by setting a color scheme; and more! After creating the perfect form for your event, you're then able to share it with your potential registrants via email or by embedding it directly into your site. After word gets out about your event and the entries start pouring in, it's time to start organizing and linking your gathered information to profiles in Breeze! This will give you options later on for communication and people organization that you would not have otherwise. Breeze will attempt to automatically associate a form entry with a profile, but if the system cannot find someone with the corresponding information submitted in the form, it will give you the option for manual association, where you are then able to connect them to someone already in your database or add someone new! Great, so you now have all your people registered and linked with Breeze profiles -- now what? Chances are, before the time of the event you're going to need to contact your registrants, whether it be to send additional information or simply to verify a submission. Contacting your registrants through Breeze couldn't be easier! Simply navigate to Forms and select "View Entries" from your registration form of choice. Now that your registrants are all connected to profiles, you can easily text or email them using the Action Panel on the righthand side! If you prefer a more personal touch, you can even print mailing labels by clicking Export. Note: In order to communicate through the Action Panel, the respective required information (email address or mobile phone number), will need to be in the profiles, so we recommend requesting this information in the form, just to ensure you have it on file! Congratulations, you are now ready to manage your event registrations within Breeze! Will Breeze "suggest" to connect people who are Archived? I entered someone as "Guest LastName" because someone else paid for their guest to attend an event, but didn't give me the name of the guest. This Guest does not show up on the check-in list because they are not linked to anyone in the system (I assume that's why - they show up in forms received).... but they are paid for. Is there a way of having them show up in the check-in list (short of adding a person that shouldn't be in the database into the database)? Thanks! Hey Gay - You will get a suggestion that that person might be listed under archived. We also recently rolled out an update that will allow you to restore (unarchive) that person directly from the connect window when it believes the person is archived. Hey Kimberlilley - The only way to have them show up in the list would be to connect them to someone in the database or create a profile for them. You can always archive them right after your event is over! I like that the forms automatically make suggestions when a new contact has filled an event registration. Unfortunately, it does not automatically link everything that we would want. For example, our form has a place to respond for allergies and medical conditions. We also have this field in the user profile, but the automatic suggestions fail to link these fields. This results in lots of caparisons between form entries and user profiles to ensure that we have all of the information that we need. We include these allergies on children's name tags to ensure that workers are aware. Our work around has been to not link any of the profiles in forms and download a spreadsheet of all form entries. We then use the bulk import option and copy the appropriate fields into the template. This works great for those who preregister and then we use the check-in add a person option for last minute registrations. Am I missing an option to make this easier? It would be great if during form creation there were two tabs at the top, one was a generic fields tab for items that do not need to be linked to a profile and another tab for profile fields. If you use the profile fields, you could be confident that it will update the person when linked. Hey John - the names need to match exactly in order for them to connect. Let's say on your Profile Field you have a text field for "allergies", but on your form, you created a text field and said "Do you have any allergies?". Those two names don't match up and therefore the system can't automatically connect them together. If you are set on wanting to phrase it as "Do you have any allergies?" then our recommendation is to temporarily change the profile field to match the form field name and then connect your profiles. If you'd like to walk through this further please feel free to Contact our Support Team and we'd be happy to give you some further suggestions. Is it possible to have one form feed into two events. We would like to have a form for registering children for Sunday School. One of the fields would be whether the child will normally attend at 9:00 or 11:00. Will that be possible? Also, would each class be its own event series? And how would we handle attendance if a child who normally attends at 9:00 shows up at 11:00 occasionally. How do you handle occassional exceptions to the normal schedule. For example if church is closed on a particular Sunday, or if on certain Sundays the two classes are merged into one 10:00 class. Hey there - Great questions! Our current best practice is to have two separate forms that feed into two different event series. In essence, have a registration form for 9:00 Sunday School that registers children for the 9:00 Sunday School event series, and another form and event series for 11:00. This will help by allowing you to easily view the form responses for each one and by making it easier to view attendance data. It also allows you to set up event check-in eligibility based on form responses, if that is the route you are wanting to take. When a child who typically attends 9:00 shows up at 11:00, I'd recommend using the + icon at the top right of the check-in screen to add them in. This way, you'll have their attendance in both events and can see that they did not miss that Sunday. You can edit your events to account for exceptions to the normal schedule. If a Sunday is cancelled, you can go into the Event Settings and delete that single instance of the event without deleting the entire series. If both classes are merged, you can delete a single instance of one and edit the time of the other. Changing the time will only apply to that one event and will not change the entire series! If you'd like to walk through this further please feel free to Contact our Support Team and we'd be happy to give you some further suggestions! What have you found to be the best way to categorize people who are only attending one particular ministry event, or ministry program? Maybe a boy participates weekly in a boys club, but nothing else. Maybe it was a youth drop in event, etc In terms of membership status, they do not actually have one... they are neither a visitor (not involved on Sunday's) or a guest (which seems to be an infrequent person). We don't like the "not assigned" idea either, since they do have a very meaningful connection to our church. Love to hear ideas. We use "attender" as one of our status designations. We change the status from guest to attender when they take a further step of involvement like joining a small group or we know that they have been coming regularly for 3 months in a row. Then when they take the membership class and officially become members they get the member status. We are using a "Ministry Serving Form" where people can submit interest in serving in various areas at any time; so, this is a form that will remain "open" for the foreseeable future. But I don't want it to get bogged down with tons of entries (trying to think optimistically here!). Once we've viewed a submitted form and linked it to the person's profile, does it have to just sit there in the forms section? If I click the little "x" to the right of the entry, that will remove the form from that person's profile, right (as if they had never submitted the form)? Is there currently a way to establish a payment plan for events like Summer Camp that might cost a little more money than some parents could pay up front? I know you could set up multiple payment options like ‘deposit’, 2nd payment, etc, but I didn’t know if that was the only way. I want to create a form for VBS, but from these comments, I'm not sure this would be the best place! We have a lot of VBS attendees who are not members. I don't want these people to be added to our database. If they are not members, will they even be able to use Breeze forms? Can I see their registration if they do not have a profile? Do I have to create profiles for them for the event & then delete them later? stmartin - we have used a Breeze form to register for VBS the last couple of years and it has worked very well (both for pre-registration as well as on-site registration). Yes, each person who registers will be added to the church's database (if they're not already attending/already have a profile). You'll simply copy the link (where the form lives) & share that as part of your VBS publicity. It'll be up to your leadership as to what status you give those who attend VBS only (and don't regularly attend your church). But the hope would be that many people who don't already attend your church, will come to VBS, and then come back and visit again on a Sunday morning - right? This way, they'll already be in the system and can quickly be pulled up to check-in to your children's ministry. We found that a carefully planned Breeze form can gather all of the pertinent info, include an emergency release sign-off, gather allergy info, and even communicate the event details in the confirmation email. It's pretty slick! (Also makes it easy to send a mass email during the week of VBS, or as a follow-up afterwards). Hope that helps! becky, thank you! I played around with the forms yesterday & I do think they will be really helpful. Thanks! @Chriss - There's no automated way to do this, but we have had a lot of churches use pledges to manage the registration. They would get the "down payment" and then find out how/when they would like to make additional payments and then set up a pledge to track the payments. Dealing with forms, when someone registers, they receive an email confirming their registration. Where can I change who that email comes from? Hey @rhonda - you'll take care of that in the form settings. Click the "edit" pencil icon on the form you're looking to change. Then click "go to settings" in the bottom left corner of that popup window. Choose "show more options", then in the "Email Responses From" dropdown, find the name you're looking for. Is it possible to create a form for a fellowship meal that limits the number of people that can sign up for a specific item. For example, there might be 5 slots for people to sign up to bring dessert, and when they are filled there is no longer the option to sign up for this particular item. While you are right you can use our forms for meal signups, but within the Breeze form there is not a way for others to see this information or for there to be slots that limit the number. Sign-Up Genius is a great option to allow more flexibility on your side and less confusion for the volunteer side. Another idea is you could create something like a Google Sheet that you can share in a link with all of the volunteers and allow them to sign up for the events/times/food items that work for them. You would then need to transfer that information over to Breeze but it would help centralize the process and connect everyone in one place. Is the max entries the number of times the form has been filled out, or is it the number of tickets purchased? We're doing an event with a max of 250 tickets, but a person can buy more than one. So... The number of times the form has been filled out, correct? It's the term "max entries" that I'm trying to figure out. My apologies! Yes, that's correct-how many times the form has been filled out. Working on creating a form now, and I'm repeating some of the info (for multiple children in VBS) but so far, I don't see anyway to copy a block! Making it really tedious. Also, it would be nice if I could expand the window while I'm creating it...it's pretty small...doesn't show you much at once, and can't see a way to expand that. Lastly, it would be great if there was a preview function within the creation process so I don't have to save it, go look at it, then go back to editing! If I'm missing something, please let me know! Thanks. Thanks for your feedback here about how we can improve Breeze in our Forms section--we’re always on the hunt for the next great idea to serve churches better! Unfortunately, these are not current features within Breeze at this time. I can see how helpful this would be to your ministry, I would love to recommend submitting a feature request. Those do help us know where the churches we serve are at, and what could help them in their ministries even more than Breeze already does. @becky and @stmartin , would it be possible to see a copy of how you set up your VBS registration form. Also, would it be possible to have template forms available on Breeze for us. For example, we seem to do many similar events such as VBS, Small group sign-ups, Bible study sign-ups, etc. Would it be possible to create a User Community where things such as those can be shared with templates? We use a separate form for our VBS volunteers to register. Slightly tedious, yes, but this way, we can get tshirt orders from them, gather info on where they want to serve, etc. Both of these forms have stayed mostly the same for 2 or 3 years now, so rather than creating something new from scratch, we can just copy last year's and edit a new form for each year's theme/dates/etc.